Armani. 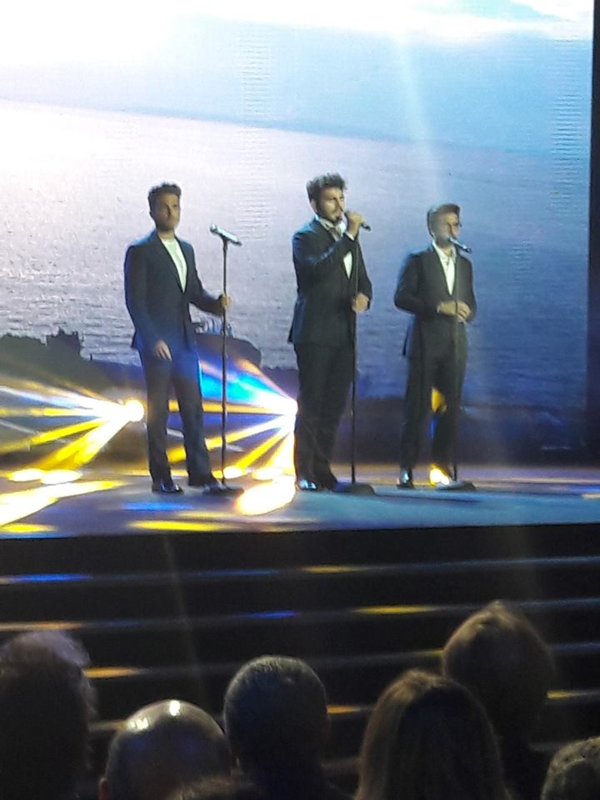 The Best look for IlVolo. So HANDSOME and ELEGANT. Daniela like you, I loved the velvet jackets by Lardini. I did not like the “too baggy” grey pants Ignazio wore, not the double breasted jacket. Other than those two missteps, my vote goes to Armani. I wonder if they still wear the Armani cologne? I thought those baggy pants were very unflattering, made Ignazio look huge, and I actually was wondering why nobody in the organization said something, or did something about it. Hopefully Ignazio never wears those light or dark baggy pants again. I didn’t care too much for the baroque jackets either. So my vote goes to Armani. Anna, I assure you that when I saw Ignazio in Milan closely, he is much thinner than he looks. Those pants didn’t do him justice. Armani without doubt. I understand wanting to change BUT as they say, if it’s not broken don’t fix it. I think the same thing,Donna. I agree whole heartily Donna. Maybe once in a while a little change, but still go with Armani. Armani they are handsome no matter what the wear but in Armani they are elegant. Camille, but of course, that they are beautiful anyway, there is no discussion about this …… but it is also certain that when they wear Armani they are very elegant. Thanks Daniela. I will now stop bugging you. They always look great in simple line clothes. I believe they try to give Ignazio more loose pants because he is always moving, bending etc. I also favor Armani, classic! I like the leather look, too. I think the pant leg on some should be a little longer, more fitting with a tux. Other than that they look good in everything, except the baggy pants. I agree Susan, sometimes the pants seem to me a little short, it’s the fashion here in Italy. I love those tight leather-like pants. With everything, I like them, but in classic Armani, even more. Oh definitely Aramini did not like the baggy pants, still don’t they are not becoming at all. Those baggy pants didn’t have much support, Betty. Yes, Antonia, I think like you. Maureen, Armani had many votes. Gianluca and Piero look after their bodyby doing sport and running, but Ignazio seems to have difficulties with his weight (again) lately. You see him grow every time a little bit. So they? (advicers) give him wide clothes to wear at the moment. I think he also looks better in a suit. Tineke, among the many who voted for Armani, you are almost rare. In reality, we like these guys, in every way they dress. It is true that Piero and Gianluca do much more sport than Ignazio. But as I said, I saw Ignazio up close and he is thinner than he looks and those pants made him look even bigger. Daniela you know my vote. i mean, you know what. Armani–no contest! But I did understand the baggy pants having been at a concert when Ignazio tore his pants! And it happened more than once as can be seen in various videos. But they are not flattering at all, to say the least! When they dress up in Armani, they are just gorgeous! Yes, Penina, in Armani, they are simply beautiful, well said. Definitely Armani ! They exude elegance when they put on those suits ! I also love the leather jackets they wear also ! Gianluca came out of his shell the first time he wore one at concert in Verona ! I wish Armani would give them contracts for individual cologne lines ! Let’s see … Gianluca could name his Amore, Ignazio could name his Surrender & Piero’s could be maybe Splendida ! Can you imagine being able to smell those ! Chris, but what beautiful words you used …. in Armani they exude elegance. Armani, for me too, Jane, we have good taste. Blanche, in reality the complaints are that the pants didn’t do justice to Ignazio. For the rest, they are always beautiful and elegant, it’s not just a question of clothes, but of innate elegance. Armani is like a cherry on the cake. No question – they look splendid in the formal Armani suits – but they are young and variety is the spice of life! They always look amazing in whatever they wear – clean cut and with a gorgeous smile. Annette, let’s say these guys wear everything with elegance and sympathy. 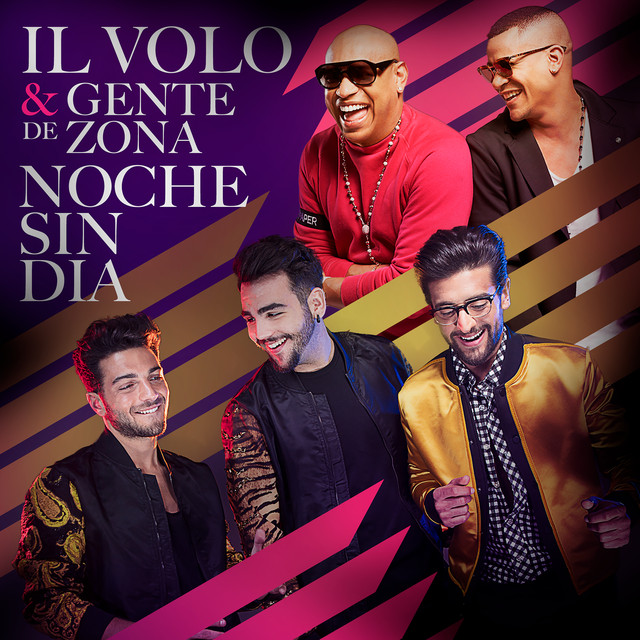 Like everyone here I have been a huge fan of IL VOLO since the start and I know this is off the subject but ……. I have just received my tickets to the concerts in Taormina and Lecce coming up July this year. What about anyone else on this loop – would be nice to meet up? We are coming from New Zealand – our last trip was May 2017 to see them in Taormina. If anyone is wondering if this is a good idea – we more than highly recommend for any IL VOLO follower to make the effort and visit Italy if you can for these fabulous concerts in these magnificent venues! Annette, I’m so glad you received your tickets. Taormina is a fantastic place and I really wanted to be there. Unfortunately, due to so many events, I haven’t been able to book my tickets yet. Meeting with fans from around the world during these concerts is a beautiful thing. I believe that Jana, when we approach the dates of the concerts, will publish a list of all the people who go to the concerts, who follow this site. So there will be a way to meet each other. we fans. I love you (sight unseen) and God bless you. Gale, I thank you for the wonderful compliments. I think you’re right, when they go on stage, they know are even more admired, in their beautiful suits. Jeannette, it makes me laugh because a friend of mine sent me by e-mail, a photo of 3 beautiful swimmer boys, in swimsuits, that imitating the three tenors …… yes, I believe that even Piero, Ignazio and Gianluca would be beautiful in swimsuits. Who knows if everyone would hear the pitch or look elsewhere? Yes Jill, beautiful in leather jackets and tight pants, I approve. They don’t only wear ARMANI formal. i have seen pics of them in past USA concerts sporting casual black T-shirts with leather patches. Yes, Cynthia, even casual clothing, is often Armani. I had to tell you that before Sanremo 2015, the boys dressed Brioni. Armani is definitely the best but when I saw them in Los Angeles two years ago, they were gorgeous in those Lardini jackets. Ooooohhhh! Laura, they are always fantastic !!! I agree with everyone with their choice of suits & whatever they choose to wear. These beautiful young men are class personifide. Whatever they do or say or wear is tops with me. All I see & hear is perfection & I so wish I could work with Barbara & Mr. Torpedine to gujde them in the right direction & protect them from the crazies out there. And I would definitely love to meet their families & congradulate them on raising 3 perfect young men. whom I adore. I met Mrs. Boschetto & spoke briefly to Pieros Dad years ago. So what my son said they wont be performing in Canada or the States for a long while which is breaking my heart. So Daniele if you hear anything better than what I posted please keep us informed. As usual you are always doing a terrific job of keeping us up to date.as I have mentions before. Keep up the good work.